I went to the Portland Modern Quilt Guild (PMQG) Open Sew night last Saturday at Modern Domestic. I hoped to sew some and socialize some and I did both. I also won a raffle prize! This was quite a surprise both in terms of what I won and the fact that I did win. The kit included a travel case (which will be useful getting to an from open sew events), a Nine Patch Ruler (which might encourage me to actually follow a pattern), a “Quick” Yo-Yo Maker (which I am not sure what to do with yet), a Quilters Hangup quilt sleeve (which is waiting for me to actually finish a quilt), a tea towel (which is begging for some embroidery), 2 packs of fabric samples (one of which coordinates perfectly with the dining room walls and I will use for placemats), a Square-Up Template Set (which looks super useful for my new t-shirt project) and a gift certificate for 3 hours of open sewing at Modern Domestic (which I am really looking forward to using). Thank you again, Modern Domestic. I really appreciate it! 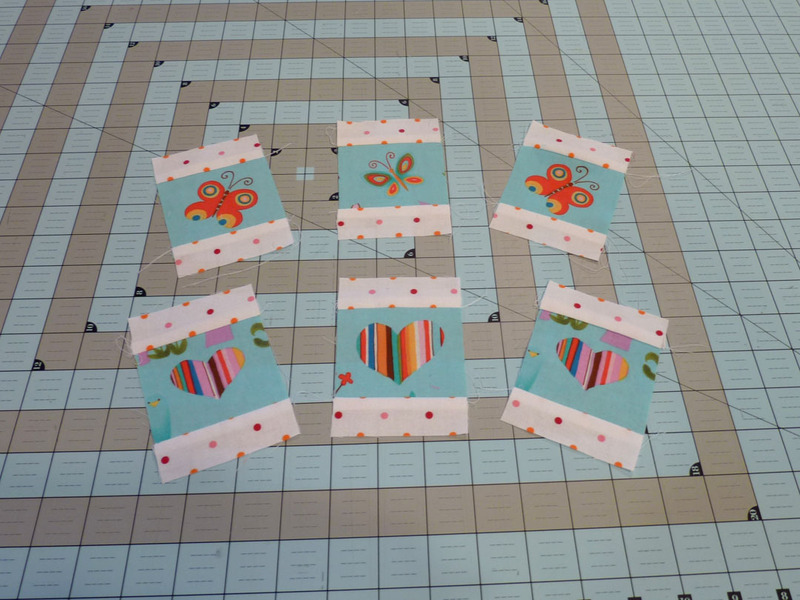 I started a new project at the open sew. It is a blanket for a new baby I know. It is a surprise so I am not going to give too much away. I will share more pictures when it is done. I hope you are feeling sew creative too! 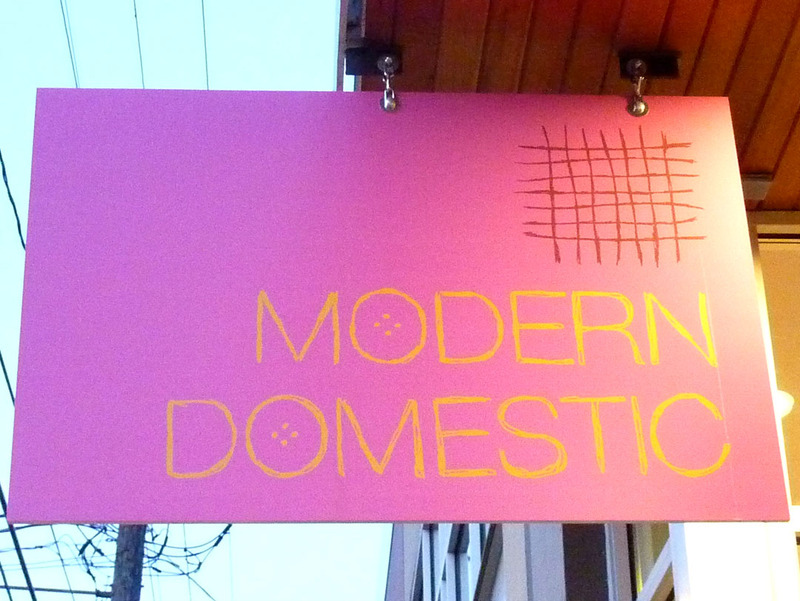 Head over to Modern Domestic if you need a place to open up that creative space in your brain…. 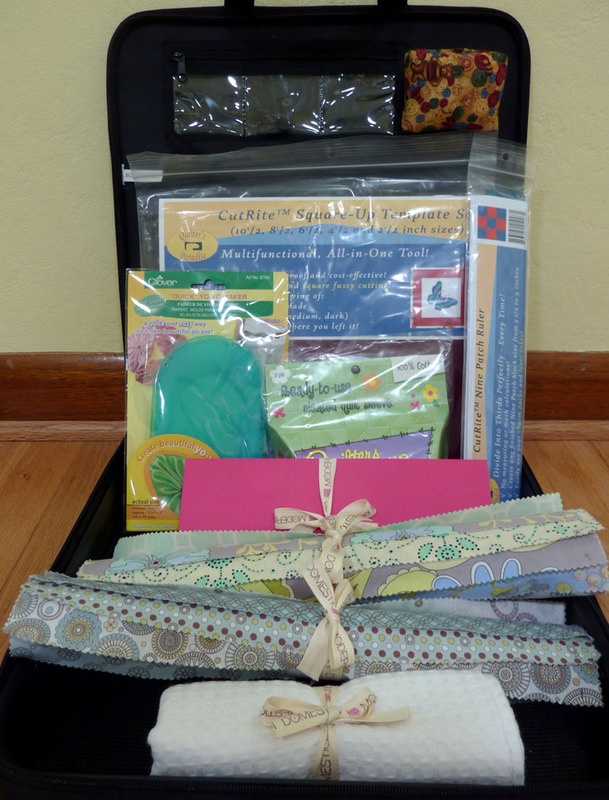 This entry was posted in Create, Gratitude, Quilt. Bookmark the permalink. 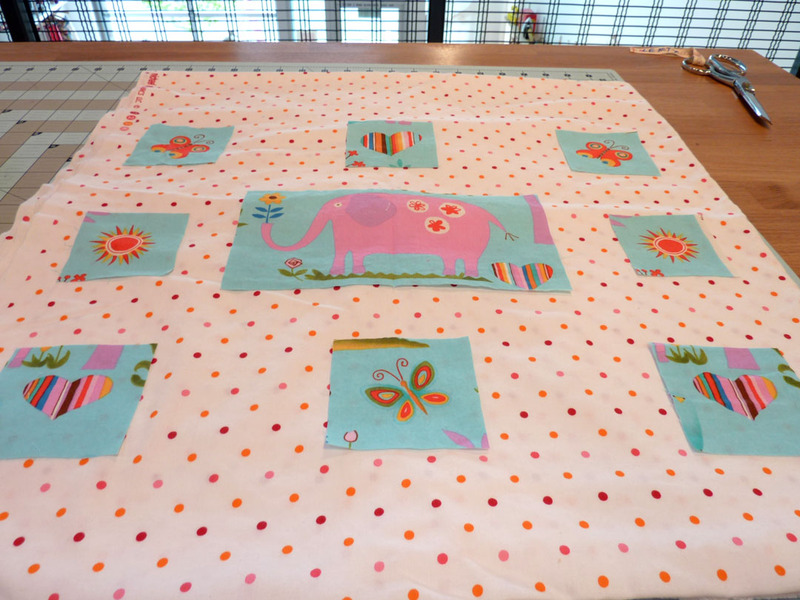 This entry was posted in Create, Gratitude, Quilt, Uncategorized. Bookmark the permalink.